Digital Transformation is now real and mainstream – not just with retailers, financial institutions & consumer brand companies but even B2B industries like Manufacturing, Utilities, pharma and life sciences, telecom companies are leveraging AR/VR, AI & Machine Learning, IOT, Data and Analytics together with Experience Design to deliver new value chains to their consumers, partners and employees and also transforming business operations. Business transformation is being discussed not in the board room but in the ideation rooms with Experience Designers (XD) and Technology architects together with business leaders. This transformation is as much cultural and organizational change than technology adoption. How do organizations (countries and businesses) adapt to Human-Centered- Digital Transformation? 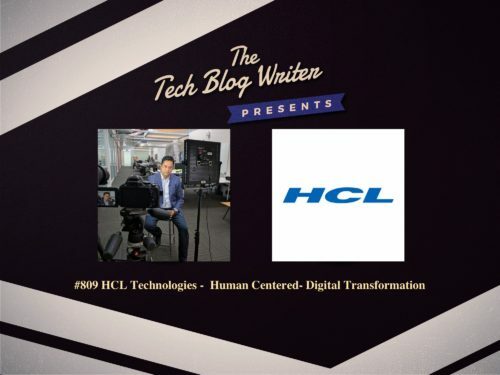 I explore this topic with Anand Birje, Global Head of Digital & Analytics, HCL Technologies, at the Adobe Summit. HCL Technologies is a next-generation global technology company that helps enterprises reimagine their businesses for the digital age. Our technology products, services, and engineering are built on four decades of innovation, with a world-renowned management philosophy, a strong culture of invention and risk-taking, and a relentless focus on customer relationships. With a worldwide network of R&D, innovation labs and delivery centers, and 120,000+ ‘Ideapreneurs’ working in 39 countries, HCL serve leading enterprises across key industries, including 250 of the Fortune 500 and 650 of the Global 2000.